It's not a news about the current challenges Etisalat Nigeria has been facing following their Billions Of Naira Debt , and you also recall that their international management has broken off from them , giving them three weeks to change their brand name here in Nigeria . And just on thursday 13th , Etisalat Nigeria , has changed its name , after a management meeting in Lagos ,and has adopted the name 9Mobile as their new brand name . Now that the name has been changed you should be seeing some changes on you network and mobile soon . 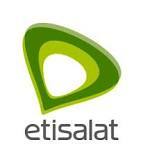 From etisalat to 9mobile.. which kind renaming be that. LOl , they just have to change , my concern is the name why "9mobile" should have have an prefix "9ja"